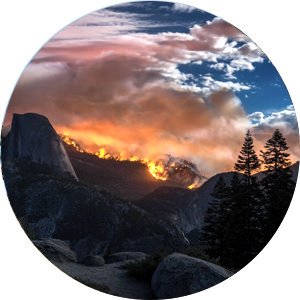 California Department of Forestry and Fire Protection - FTS Inc.
Californian state agency responsible for fire protection, the administration of private and public forests, as well as the providing the firefighting capability to prevent and extinguish wildfires. 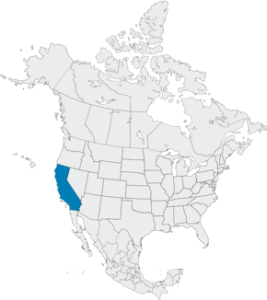 With an area of 414,000 km2, the western state of California comprises nearly 2/3 of the Pacific United States coast. The terrain is very mountainous, with the Coastal Mountain Range in the west, the Sierra Nevada to the east, the Cascade Range in the north, and the Tehachapi Mountains in the south. 45% of the surface area is covered by pine forests, and the region is unmatched in diversity by any other state. A significant portion of southern California is covered by the Mojave Desert, with dry and rocky terrain typical of the Basin region. Much of the state has a Mediterranean climate, with cool, rainy winters and dry, hot summers. California often experiences wildfires due to extremely hot and dry conditions during the summer months. The California Department of Forestry and Fire Protection has been an FTS customer since 2005. The CAL FIRE network of fire RAWS consists of fixed stations that contribute data for fire weather monitoring purposes. Portable stations assist in controlling prescribed burnings, and they also play a key role in firefighter safety during these burns.